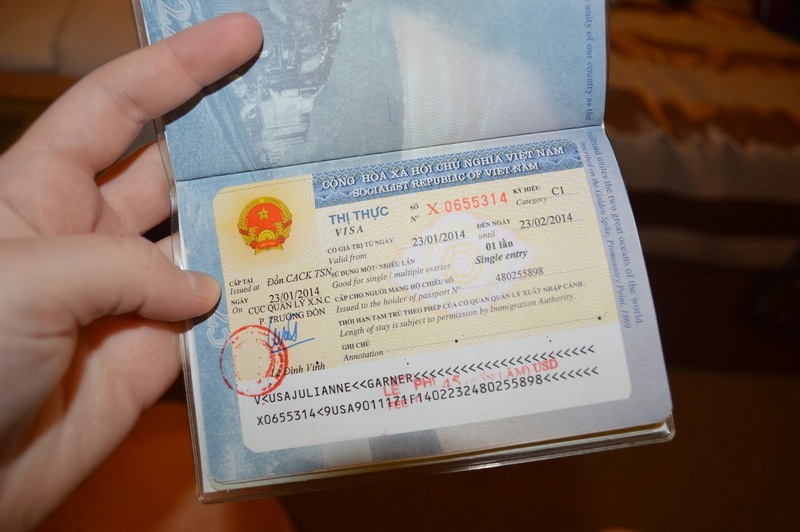 How To Get a Vietnam 3 months multiple entries visa ? What is Vietnam 3 months multiple entries visa? According to current Vietnam Immigration rule, the 3 months visa allows the holder to enter and stay in Vietnam up to 87 days (the official rule is 87 days, but sometimes the holder can get full 3 months). The multiple entries visa will let you visit Vietnam as many times as you want. So, the 3 months multiple entries Vietnamese visa is the visa that allows you to enter and exit Vietnam many times (not limited) with the duration time of stay 87 days. Who need Vietnam 3 months multiple entries visa? How to get Vietnam 3 months multiple entries visa? You can get 3 months multiple entries visa with Visa On Arrival. Visa On Arrival is the visa allowing the holder to get visa at the airports on the date of arrival. It is available for all countries, with variety of staying (1 month, 3 months, 6 months or 1 year), variety of entry (single entry or multiple entries). However, this visa is only eligible for those who enter Vietnam through airports. Therefore, please make sure you fly to Vietnam, not by other transportation. Please note that visa on arrival is available for all nationalities, but some nationalities are not allowed to get 3 months visa to Vietnam, the maximum for some nationalities is 1 month. So, please carefully check to know whether you are eligible to apply a 3 months visa or not. 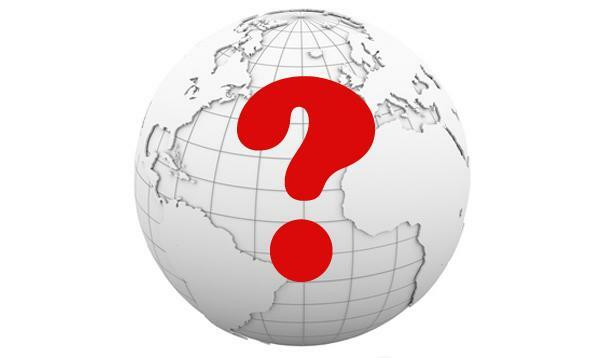 To check it, you just visit this link, then enter your nationality. 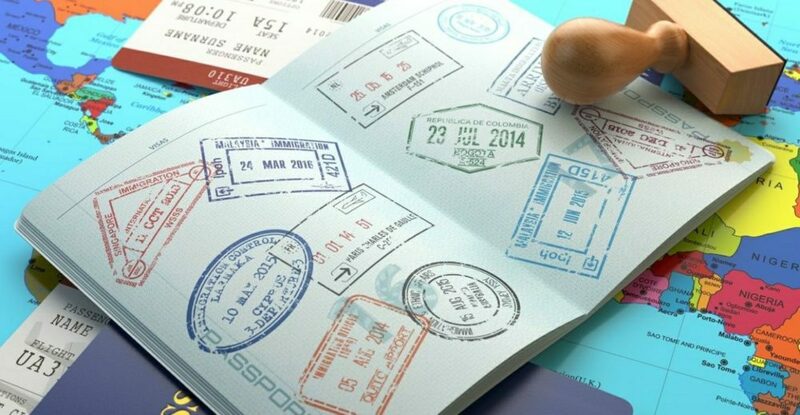 If 3 months multiple entries visa is available for your nationality, it will be showed in the option list. If not, you cannot get it. When you are eligible to apply 3 months multiple entries visa, come to step 2. 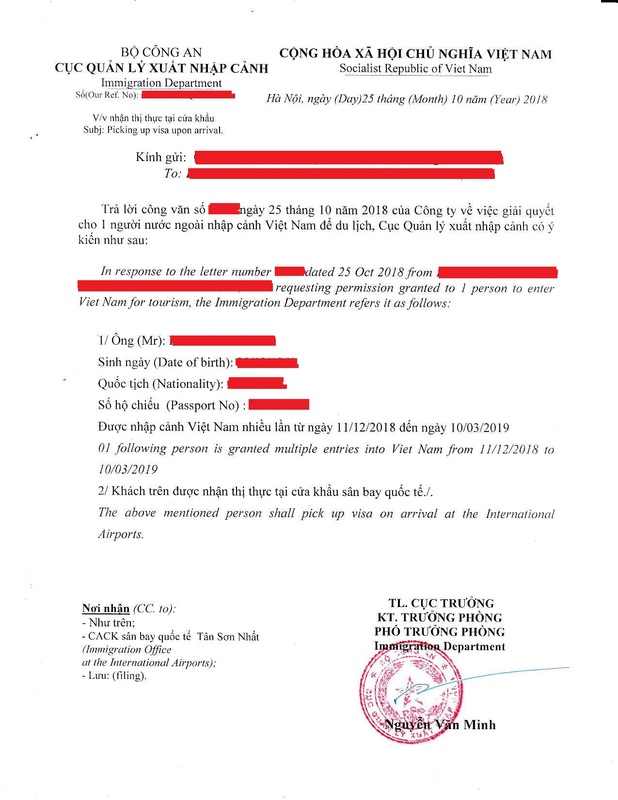 Visa Approval letter is the letter which is approved, signed & red sealed by Vietnam Immigration Department (Vietnam Government). It allows you boarding airplane and picking up your visa at the international airports of Vietnam on arrival. 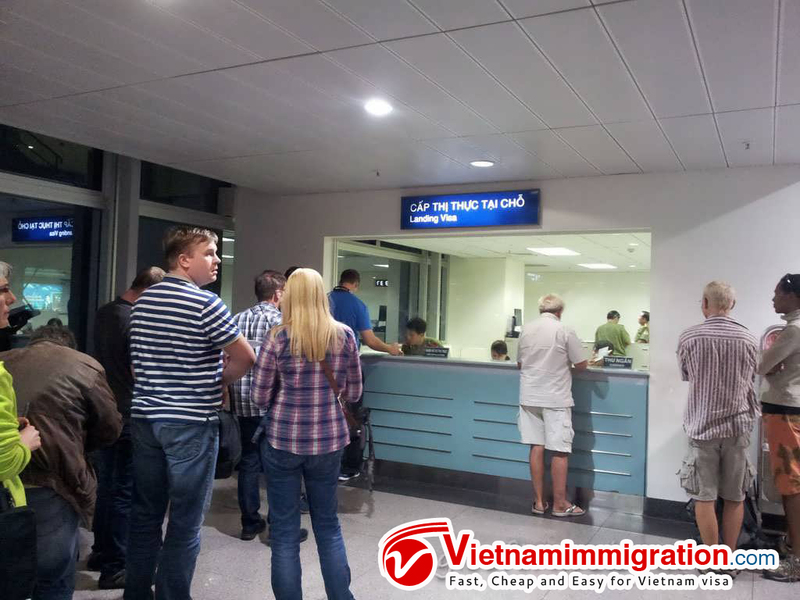 The people on the visa approval letter are granted permission to enter Vietnam, and they are permitted to pick up visa on arrival at the international airports. Without this letter, you cannot get visa at the airport. So, you need apply it in advance. 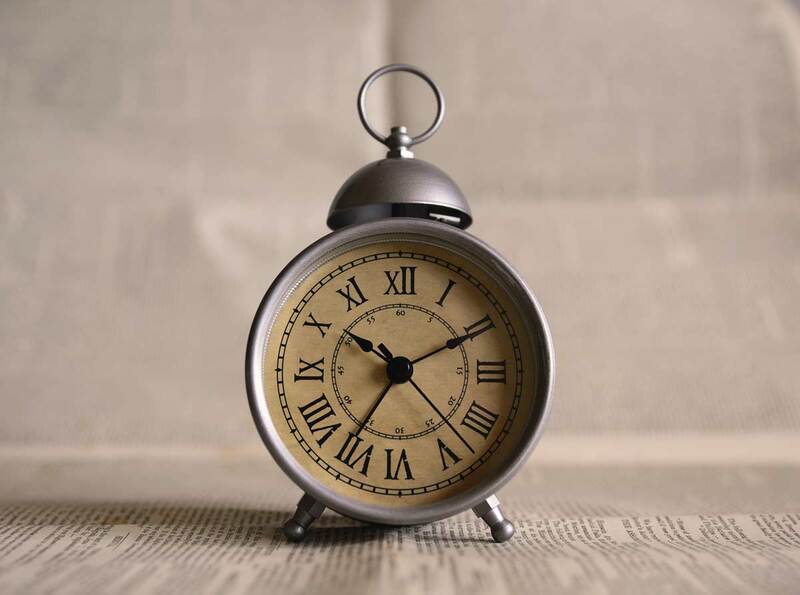 It should be obtained at least 2 days prior to the date of arrival. Or you can apply it 1 month or 2 months prior to your arrival date. To apply this letter, you click here to apply online. All you need to do is fill in the form, and then make payment. After finishing, you will receive a confirmation of your visa order. It takes 2 working days for process your visa approval letter. After 2 working days, you will receive your approval letter through email. You recheck for all information to make sure there is no mistake. Then, you print it out. Some airlines require visa approval letter before letting you get on the airplane. 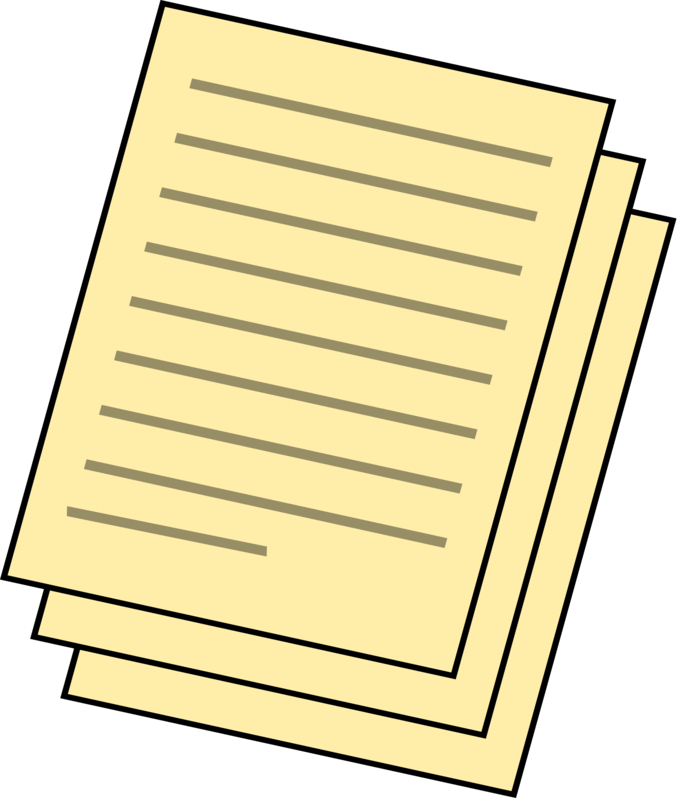 You show the visa approval letter to the airlines staff for boarding. After arriving at international airport in Vietnam, you come to the “landing visa counter” or “Visa upon arrival counter” to get visa stamp. 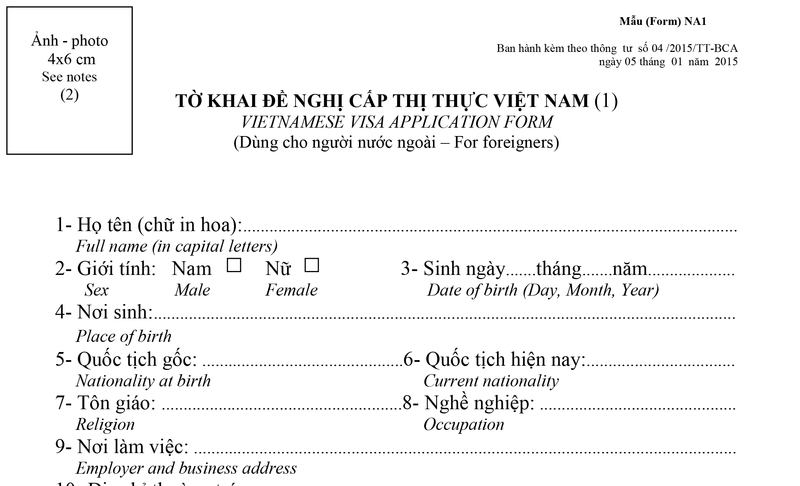 To get it, you should prepare some documents in advance: Original passport + visa approval letter + Vietnamese Visa Application Form (we usually send this form in the email. So you can fill, attach photo and sign to save time on arrival) + Stamping fee. Wait to be called for paying stamp fee and get back the passport with visa inside. After this step, you get the visa stamp on your passport and can enter Vietnam officially. Note: Please check your visa carefully and ask for correction immediately because you will have no chance to correct the mistake after exit passport control counter.